Today we launch the Meshmoon hosting platform, a scaling hosting system with easy to use web user interface to control all aspects of you scenes. Meshmoon hosting also provides cloud asset storage that you can easily use to host your scene assets. Our aim is to provide free hosting for anyone interested in the Tundra technology and if you hosting needs grow we also offer affordable plans to increase your hosting capacity. We have been working on our Tundra hosting from day one of Tundra development. The system has been used extensively in various project that use Tundra and they have fueled the development of the hosting system. Now we feel the system is ready for wider spread public testing to everyone. You might have used or heard about the Adminotech Tundra client before, this is the Adminotech bundled client that is the latest and greatest Tundra + our Tundra plugin to provide easy to use user interface to access scenes hosted in our system. For the Meshmoon launch Adminotech Tundra client changes to Meshmoon Rocket client. Rocket is still the same old Tundra based viewer that has tight integration to our Meshmoon hosting. Nothing changes in the open source aspect of our work, as Rocket gains features they are sent to mainline Tundra via pull requests just like we have been doing all along. And you can be sure Rocket always has the latest and greatest Tundra features and bug fixes, many times long before the mainline realXtend Tundra is released. The first version of our documentation for the Meshmoon launch is ready. http://doc.meshmoon.com/ has documentation for using the Rocket client, using the inworld applications, using all the hosting system features. Artists/content creators get their own topics on how to export your content from blender all the way to your Meshmoon hosted scene. Developer documentation is also there but its not fully completed yet, I will be focusing on it next. The developer documentation will cover Tundra scripting and some in-depth topics about the Tundra architecture. I’ve also held some live Tundra scripting training sessions here in Oulu Finland at the Oulu University and other places, for this I had created material that I am now making public via the Meshmoon docs pages. This section will be called scripting tutorials and can be found here http://doc.meshmoon.com/tutorials.html. Few of the simpler tutorials are already there and will get you started. I will next focus to finish the more complex examples. All of the pages should have a working disqus provided commenting system. Please comment on the documentation if its hard to understand, has errors or you want to request more documentation! Visit existing worlds or start working on your own project now, it’s free! Some of you might have already been using the system via the Adminotech Tundra client. 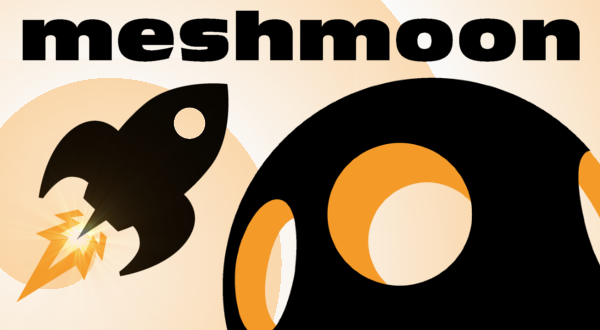 For you now is the time to upgrade to the Meshmoon Rocket client. Rocket will be a auto update on both of the current windows and mac clients, but we recommend you uninstall Adminotech Tundra and download Meshmoon Rocket from http://www.meshmoon.com (direct links windows and mac). You can also read installation and usage instructions on the Rocket Topics from http://doc.meshmoon.com/documentation.html. As said we offer a free hosting plan to anyone. If you want your own scene just head over to http://www.meshmoon.com and start the registration process. You’ll be running in 5 minutes, then its just time to create your project and for that the documentation pages are your friend. Note that if you have used Adminotech Tundra before and already made a user account the same account will work with the new Meshmoon system. Get involved and let us know what you think!